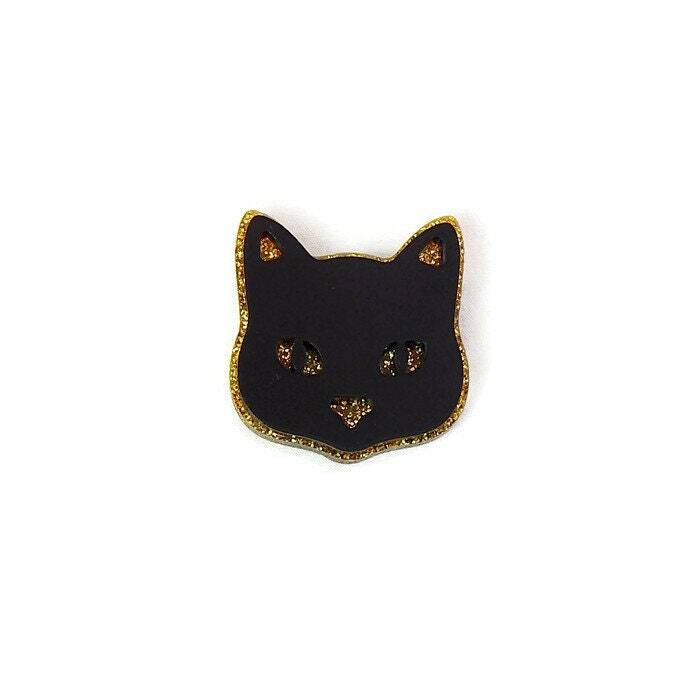 This black and gold cat brooch is handmade from two layers of laser cut acrylic. 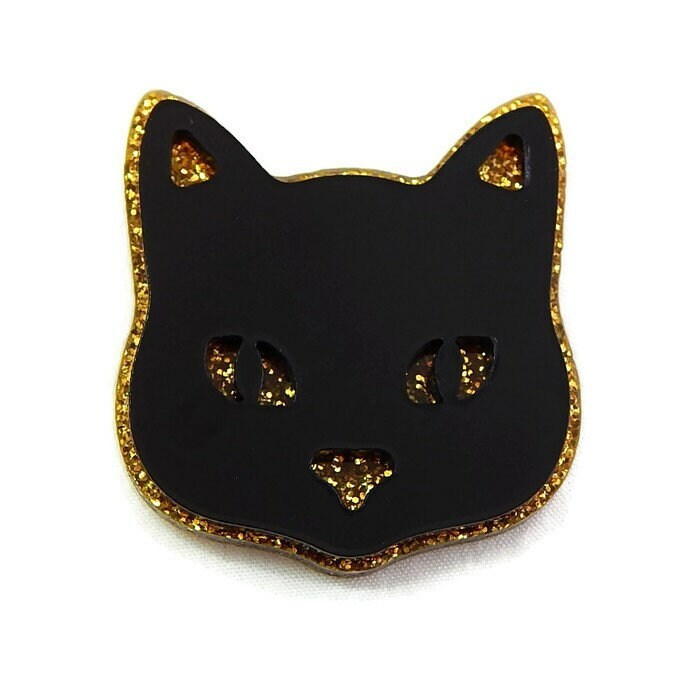 The top layer is black acrylic and sits atop gold glitter acrylic so that it peeks through the eyes, nose, ears and around the outside of the cat's head. 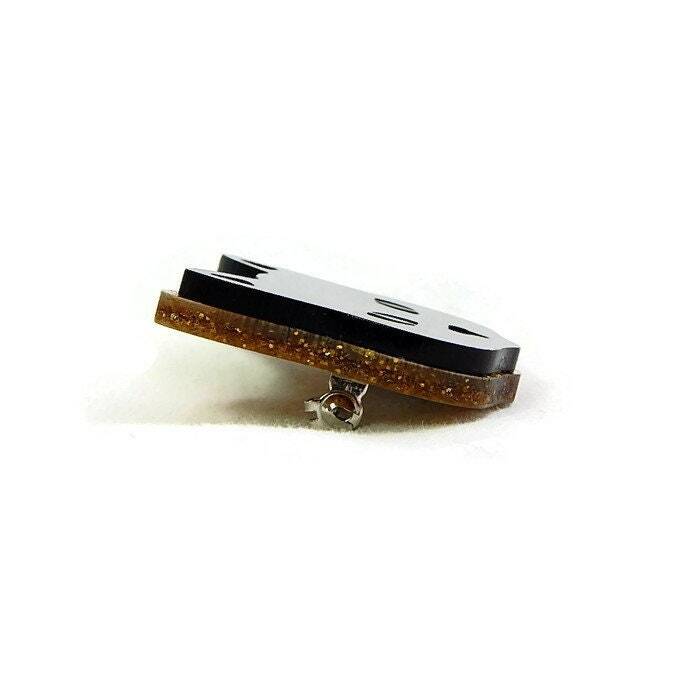 The brooch measures approximately 40 mm long x 37 mm wide (1.57 in x 1.45 in) and is backed with a pin back. 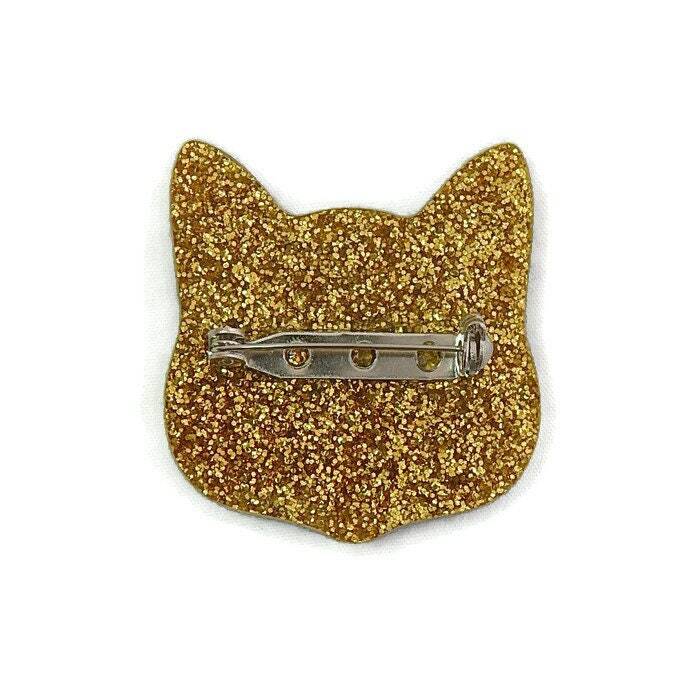 I had my eyes on this adorable cat pin & I am so glad I purchased it. It was packaged carefully, arrived intact, shipped promptly, & is purr-fect for every day -wear. I highly recommend this shop, thanks!